Move over, basil! If you’ve never tried making pesto with kale, now is the time. 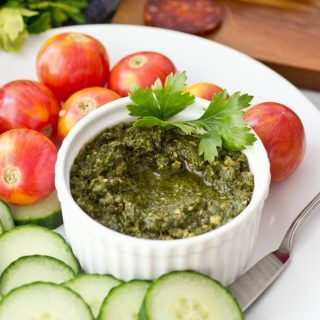 It’s hearty, flavorful, cost effective, and make a delicious and easy pesto that you can use on anything that calls for pesto! Pesto is a delicious amalgam of some of the best flavors there are: basil, olive oil, walnuts, cheese, and garlic. 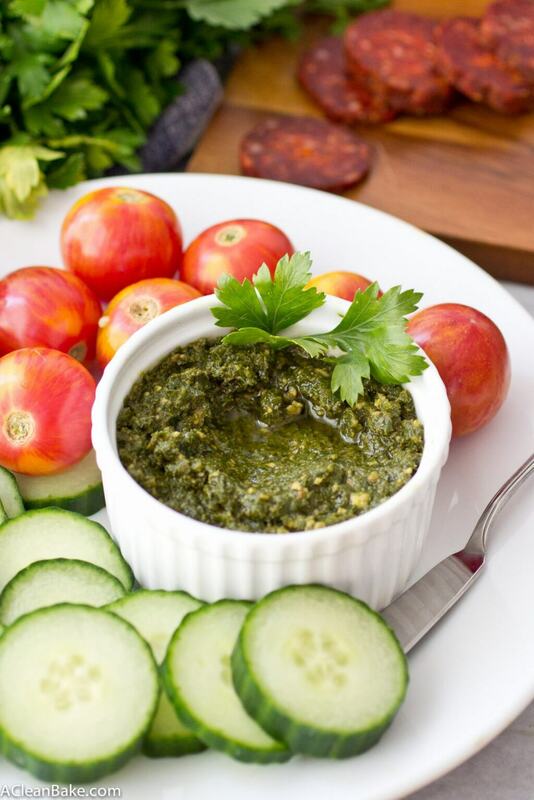 Say what you will about sweets – and I say a lot of wonderful things about sweets, and you should too – but there’s something absolutely addictive about the salty-smooth-grassy-sweet flavor of basil pesto. It seems like, if you were to remove even one ingredient, all would be lost. But if you can’t have dairy, cheeseless pesto, as utterly unholy as that sounds, is better than no pesto. Removing the cheese ends up not being a very big deal if you replace it with salt, nutritional yeast (a vegan specialty ingredient that has a cheesy flavor to it), and water. The water is actually the secret to the velvetiness, because it forms an emulsion when you add it to the pesto while the food processor is running. It’s the same logic behind adding the vinegar to a salad dressing recipe while you’re mixing it – it forces the repellent ingredients (oil and water) to mix. And why the kale? Well kale is great, and it’s hearty and it’s nutritious but it’s also much cheaper than fresh basil so I like to use a combination. You’re welcome to adjust the proportions of kale to basil, if you want a stronger basil flavor, or if you are one of those lucky people with backyard gardens that yield more basil than you know what to do with. That, if we’re being honest, is a problem I aspire to. In the meantime, it’s kale to the rescue! Put all ingredients except for the olive oil and water in the bowl of the food processor (fitted with the standard "s" attachment). Pulse a few times to begin to break down the ingredients before turning the processor on high. While it is running, pour the olive oil into the machine, in a thin stream. The mixture should start to form a chunky paste. Turn off the machine and scrape down the bowl to make sure everything is getting incorporated. Replace the lid and turn the machine back on high. Using the same method as you did for the olive oil, pour the water into the bowl while it's running. The mixture should get smoother in texture and lighter/cloudier in color as the water incorporates. Continue to run the machine for a few moments after the water has been poured in, to ensure everything is pureed and mixed evenly. Use a spoon or spatula to transfer the pesto from the machine (be careful of the blade!) into a bowl or storage container. It is best served immediately, but can be stored in an airtight container just big enough to fit the pesto, so that you have as little air in the container as possible. Keep it in the fridge for up to a week or freeze it (see note below). Three cups is a lot of pesto, but pesto freezes very well in an airtight container (glass jars are best), filled to the top, for up to 6 months. To use frozen pesto, bring to room temperature and stir vigorously to re-integrate all of the ingredients, which will have separated. Don't worry if there is some brown on top; pesto oxidizes easily but that doesn't affect the taste or quality. 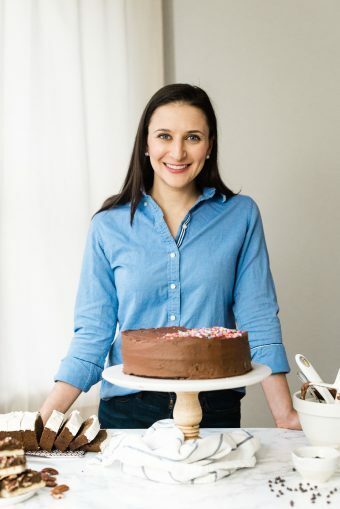 Just stir it to a uniform color and consistency before eating, and if you have trouble getting it to be creamy again, pulse it a few times in food processor or magic bullet. If you really, really don't want this much pesto, this recipe halves easily. • Replace any amount of the kale with additional basil. • Replace the kale with spinach. Very nice color! would try this with some sprouted walnuts! yum!